In the last five years, the demand for visas to travel to the United States has increased by over 60 per cent, US Embassy said. Summer is a peak travel season, expect delays in getting visa appointments, said US embassy. There's a heavy rush for US visas this summer and Indians have been advised to apply for visas early. 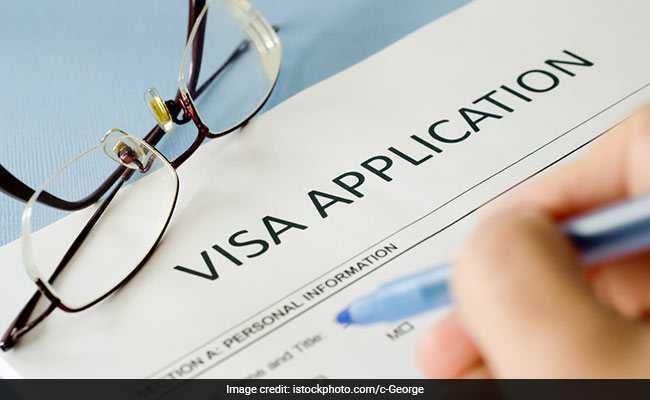 A statement by the US Embassy on Tuesday said that applicants across India may have to wait for 30 days or more to get a visa interview. The wait time will continue for at least the next few months, it said. "Mission India's non-immigrant visa workload is one of the largest in the world, processing over a million visas a year," the statement said. "In the last five years, the demand for visas to travel to the United States has increased by over 60 per cent. Travelers should apply early to avoid potential delays," the embassy said in the release. According to the statement, the Embassy in New Delhi and the four Consulates across India "are constantly working to improve service and meet demand, but applicants should be aware that the summer is a peak travel season and there will be delays in getting visa appointments". "Someone can either apply and have an interview at a US Embassy or Consulate, or if they have had a visa before and meet certain criteria, they may qualify to have their visa renewed," the statement said. "Anyone claiming they can guarantee a visa in exchange for a fee is attempting to defraud you. Applicants should be smart and apply the right way," it added. The U.S. Embassy also warned the applicants to beware of scams and frauds and said, "The only way to get a US visa is through official channels. Anyone claiming they can guarantee a visa in exchange for a fee is attempting to defraud you. Applicants should be smart and apply the right way." It said that Consular sections in Mission India are currently only able to expedite visa appointments for cases involving genuine emergencies.